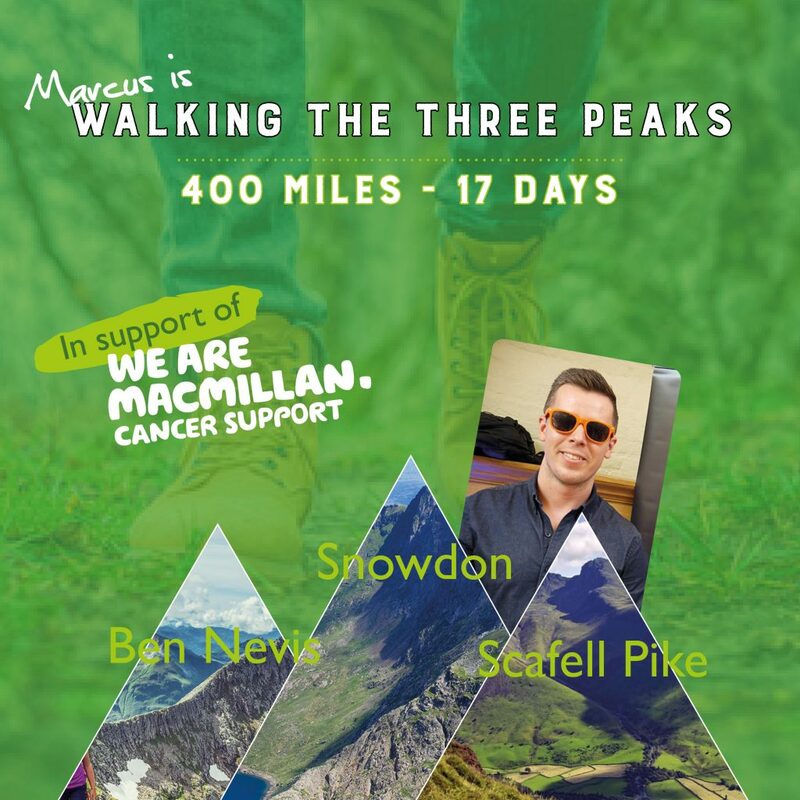 Our very own Marcus is embarking on an epic 400 mile journey which will take him from Ben Nevis in Scotland to Snowdon in Wales, via Scafell Pike in England…and he is doing it on foot AND he will be walking between each of the peaks!!! Needless to say we are all very impressed and are doing all we can to support him on a journey which should take a little over 2 weeks and a quite a few pairs of socks! 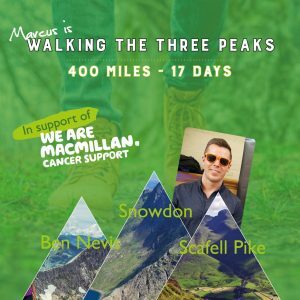 Marcus decided to take up the challenge in aid of our nominated charity MacMillan Cancer Support for a cause that is very close to his heart. We will be posting updates on his progress during his journey which starts on 10 August 2018 through our social media channels using #marcuswalks so watch this space!